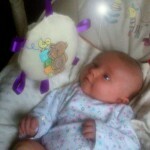 Baby Lilly needs burp cloths, she goes through so many! 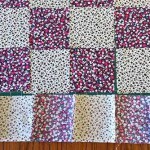 I made this project up as I went along but they really are “easy make burp cloths!” I followed the same simple method that I used for the taggie blanket, only difference being I didn’t add the tags. 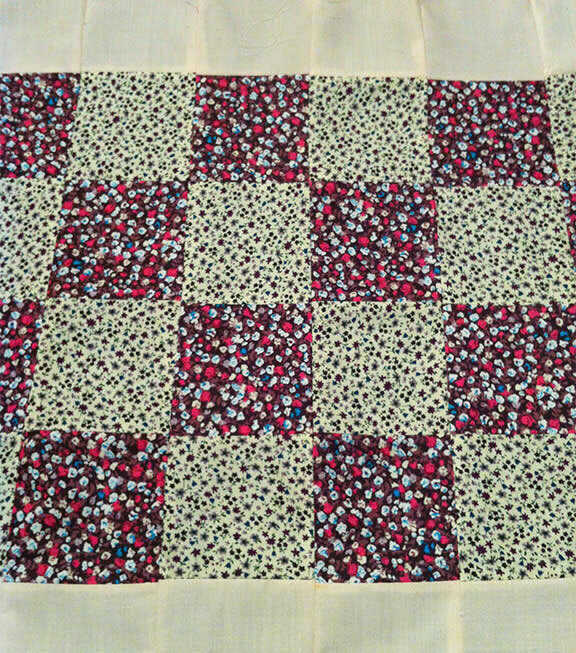 I made 2 and it only took me 30 mins, including the ironing. 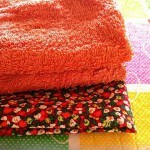 I used some face/wash cloths my Mum gave me when she was having a clear out for the back. A simple square shape and perfect for making a burp cloth. 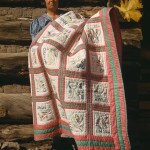 For the top I had a couple of fat quarters left from the bundle I’d bought for a previous project. 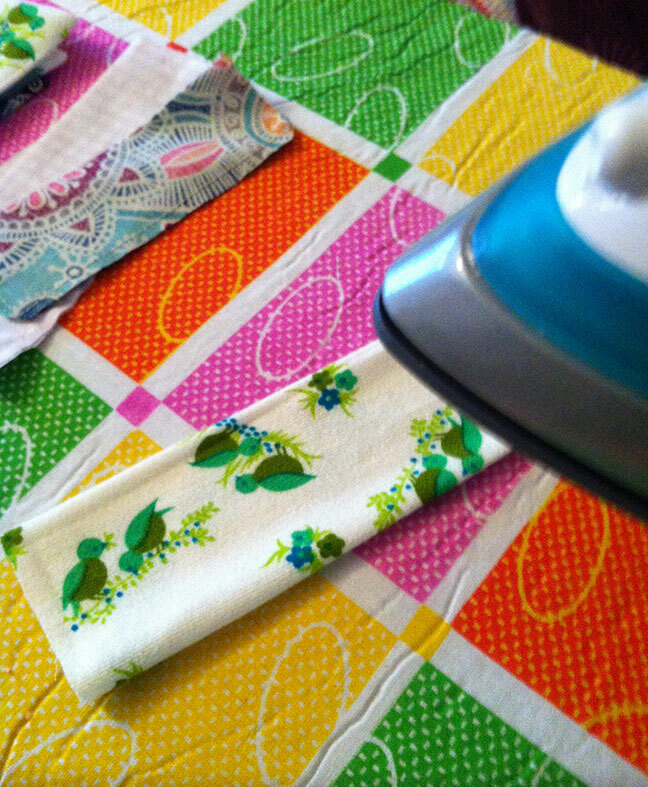 First, most important, iron your fabric. I repeat this on every tutorial because I used to take shortcuts and think it didn’t matter, wondered why pattern pieces were the wrong size! 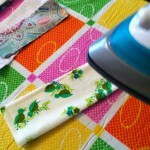 Another tip, keep your iron clean and if its past it’s best and keeps sticking, think about replacing. 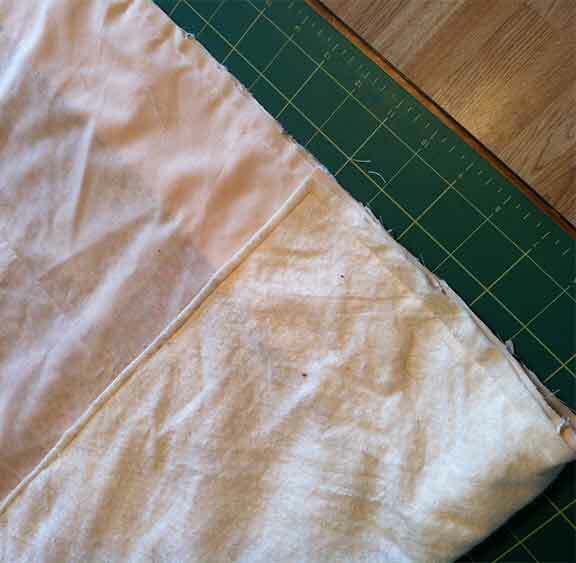 There’s nothing more annoying than ruined fabric because of sticky iron. 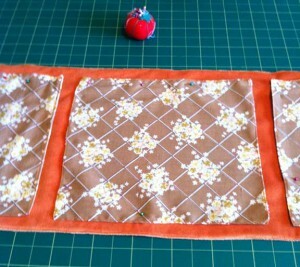 Lay your fabric on the table right side up then pin the face cloth to it. 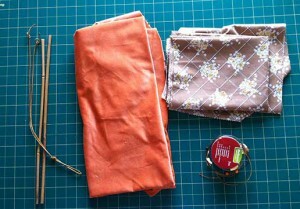 Cut around the edge so you have equal size square of face cloth and fabric. I didn’t bother getting the rotary cutter and cutting mat out for this small project, just used the ironing board and scissors. Do you like my cute pin cushion? My sis crocheted it for a Christmas present, I love it! 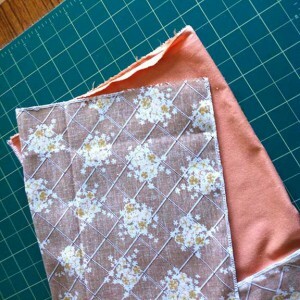 You’ll now be ready to get straight to the sewing, your fabric is already pinned from the previous cutting step. 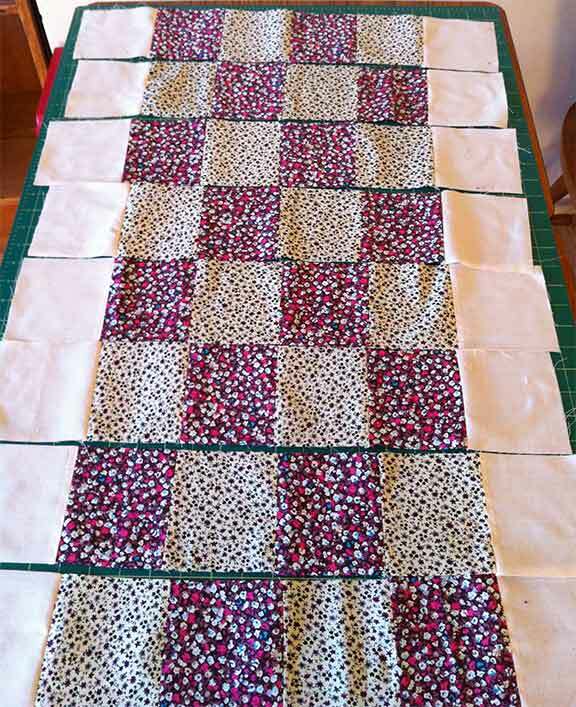 Sew 3 side and halfway up the 4th leaving an opening for turning right sides out. 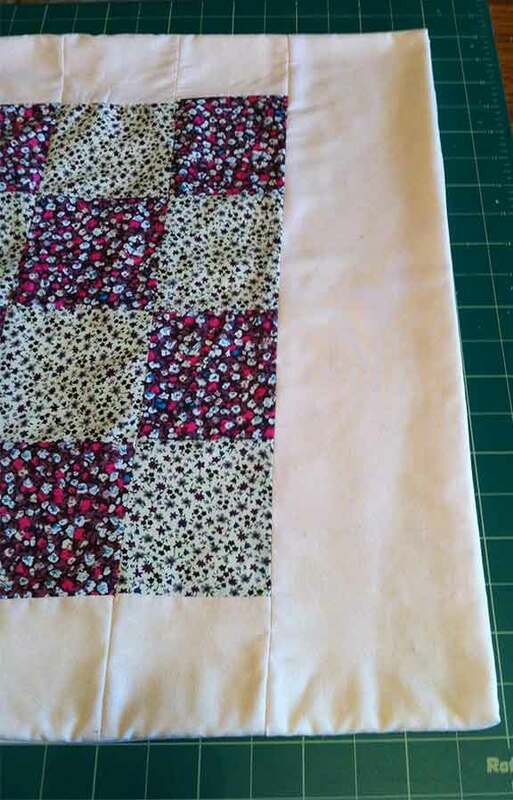 Trim the cotton edges with pinking shears to stop fraying. 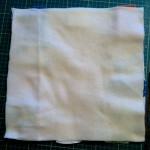 The face cloth already has bound edges so won’t need to be trimmed. 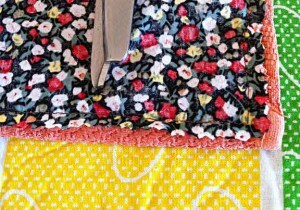 I could have taken my overlocker/serger round the edges at the start but wanted to demonstrate how you could make this with basic tools and a basic sewing machine. 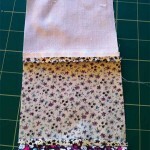 Turn the fabric right sides out through the gap left in the previous step. 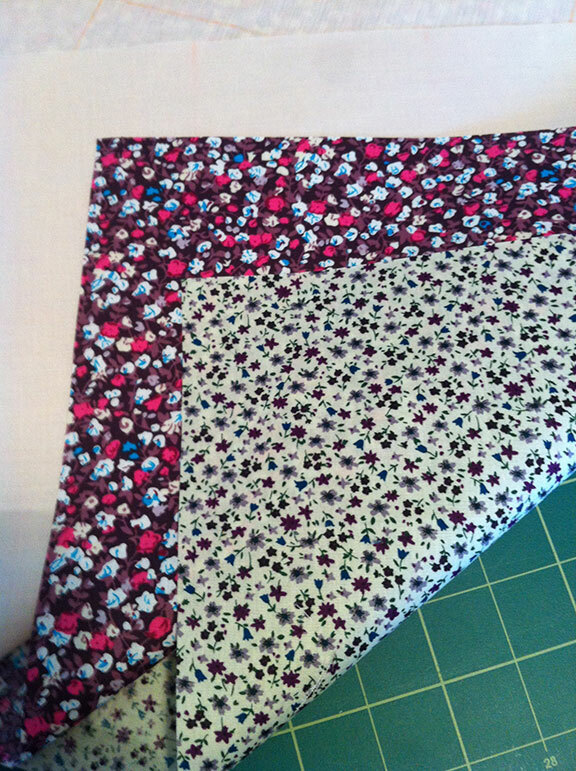 Press, turning in the ends of the open gap then top stitch all the way round. I plan to run up some more this week, make sure Lilly has a good supply! If you’ve any questions or suggestions feel free to contact me, or leave a comment below. I was thinking about making a baby Christmas dress for Granddaughter Lilly and wondering about fabric when this appeared at my door. 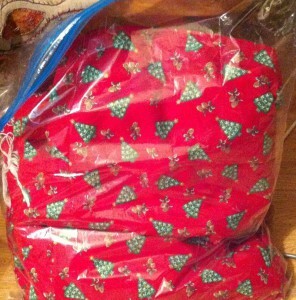 A bag full of curtains! There were four pairs of curtains in the bag, all lined with red fabric. 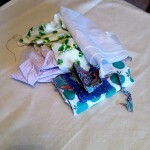 I didn’t take measurements but there was a LOT of fabric in there! 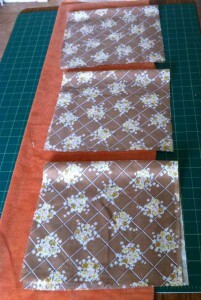 First was the job of unpicking, I like to reuse as much as possible so the curtain tape came off first. That will get saved in my haberdashery box for future use. 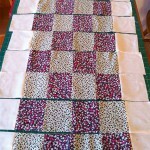 Then I separated the lining. 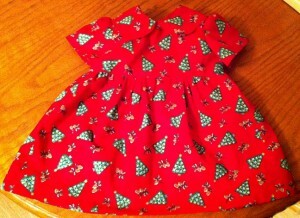 I’ll only be using the printed fabric for this baby Christmas dress and will hardly use even 1 of the curtains. 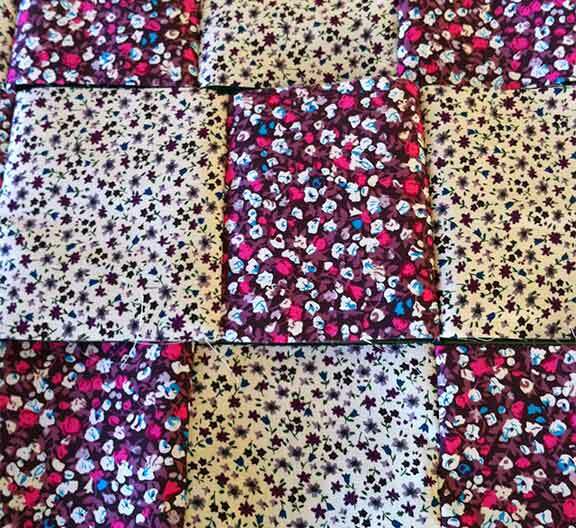 Enough to make a dress each year as baby Lilly grows! 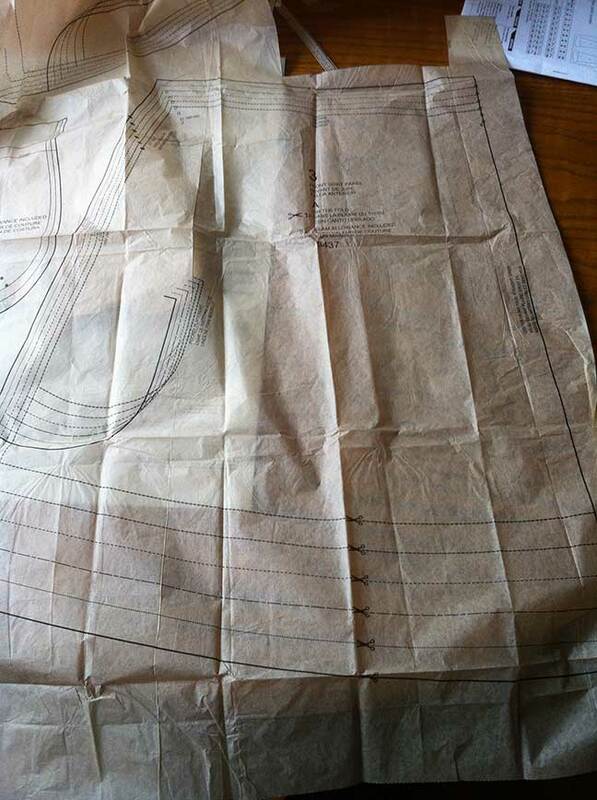 Then it was time to start making the dress. 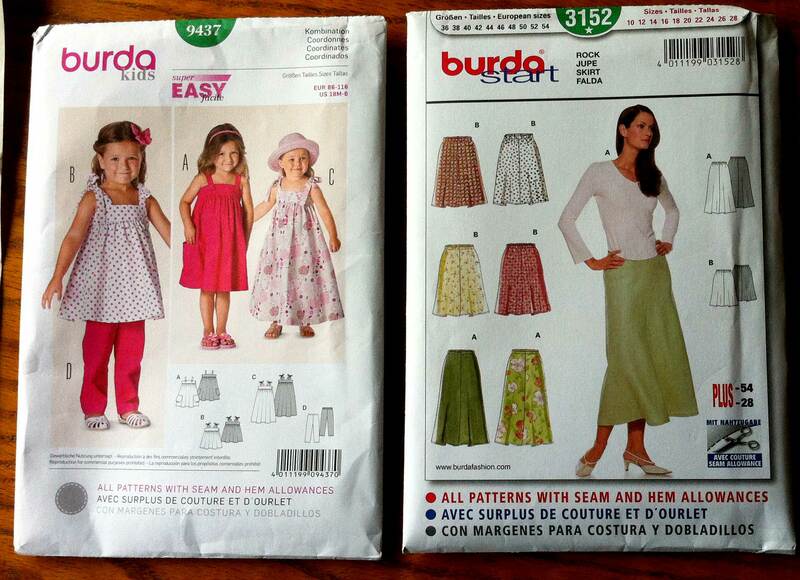 I used a BurdaStyle pattern, 9752 which gives a few different options on style. Following the instructions I pinned the pattern onto the fabric. 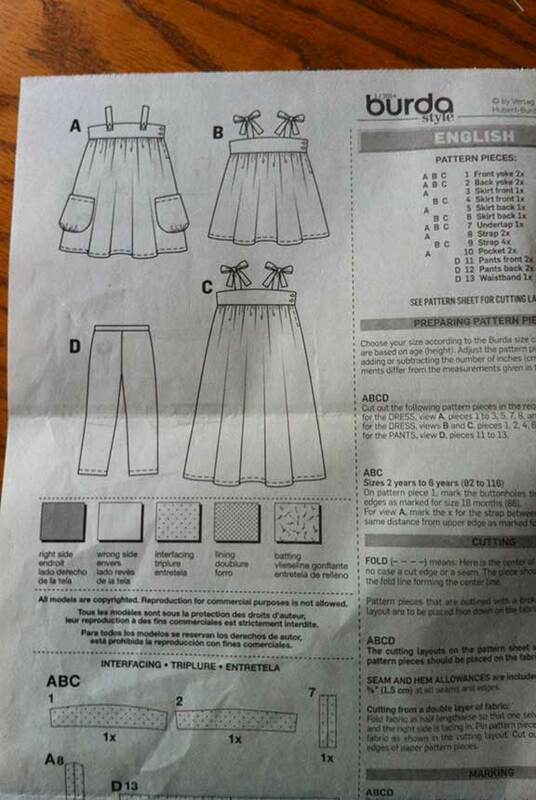 There’s a tutorial here for how to read sewing patterns. 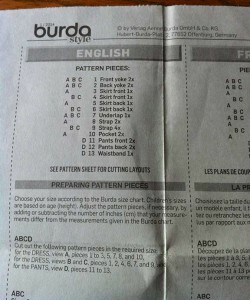 I usually find Burda patterns easy to follow but the collar on this on really had me stumped. 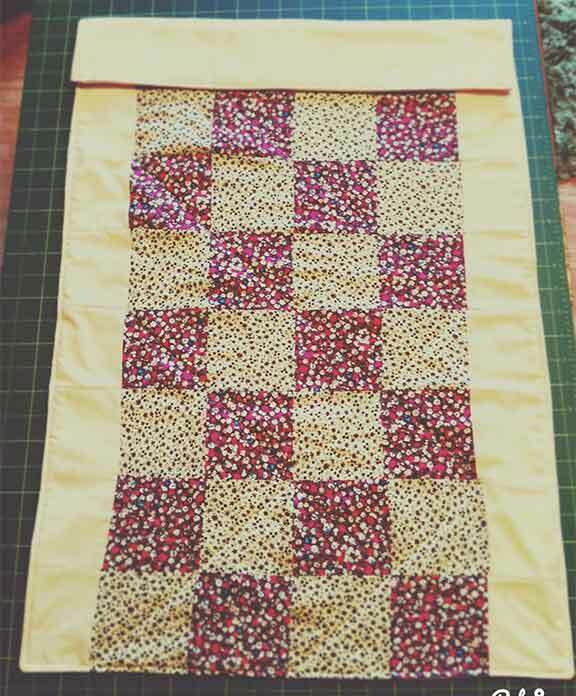 I spent a long time trying to figure it out but after a bit of trial and error and the help of a sewing forum I got there. I used to have a problem inserting sleeves but have finally mastered that skill! 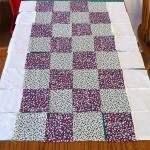 This is the top half of the dress finished ready for attaching the skirt. 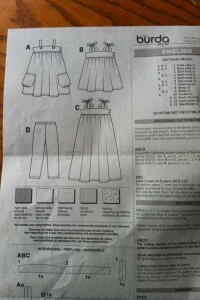 The skirt was straight forward with a simple gather around the waist. 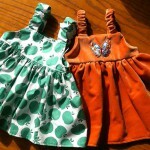 I’ve used this technique on many baby dresses and will be posting a “how to” tutorial soon. 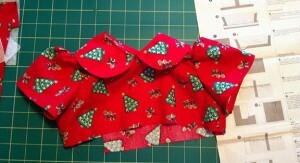 It gives a nice fullness to the skirt and makes sure there’s plenty of room around baby’s hips. Because of the problems I had with the collar this took me around 8 hrs to make. I did manage to run up a matching bib in that time though. 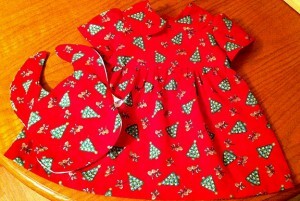 Now Lilly will have this cute baby Christmas outfit to wear over her first festive season! 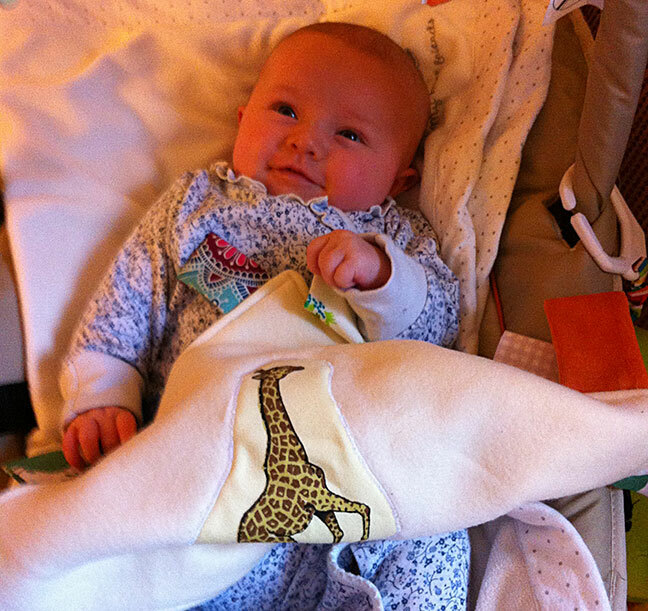 A baby taggie blanket can be so expensive to buy, so why not have a go at making one? These are simple to make and don’t take long. A beginning sewer can easily manage this project. 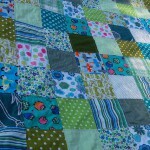 Making a taggie blanket uses up your fabric scraps too. I’ve explained all the techniques used in this project in previous articles. Just click on the blue links if you need help. 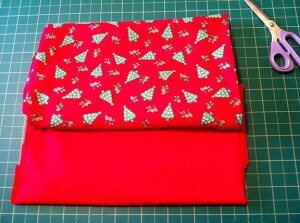 I used microfiber fleece for the main part of the Taggie Blanket. 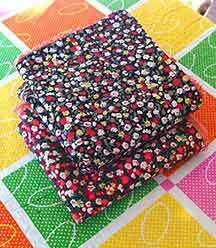 You could also use pretty print cotton fabrics like fat quarters but, if you’ve read my other tutorials, you know I prefer the microfibre fleece. I’ve already made three pair of baby booties and a plush baby toy from it. Why? It’s very soft and feels so good on baby’s (or anyone else’s) skin. 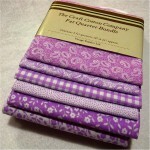 Hobbycraft have some special half price offers on some very pretty fat quarters. 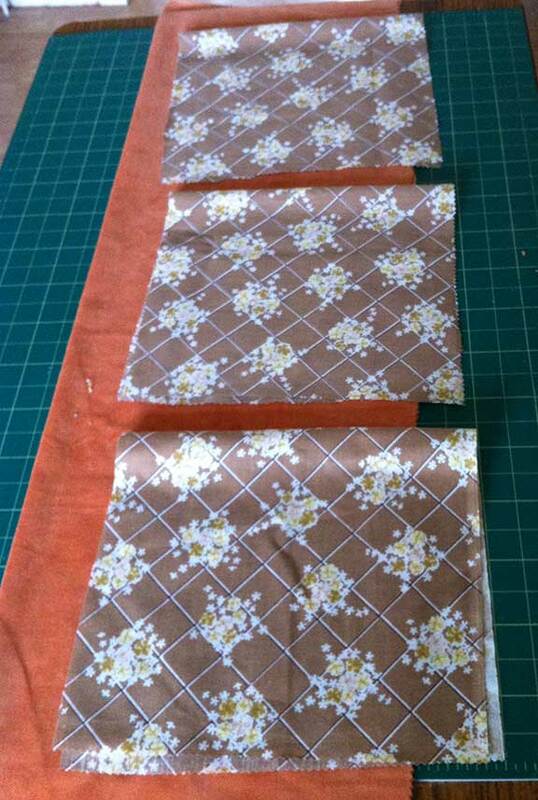 Fold each piece in half lengthwise right sides together and press till you have 14 tags ready to sew. Sew two sides leaving one side open for turning right sides out. 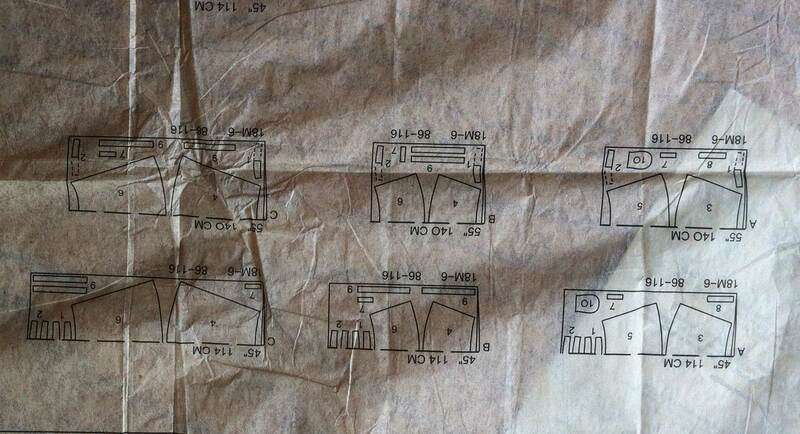 Turn all pieces right side out and press . 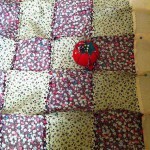 I pressed the seams to the side but you can press seams to the centre if you prefer. 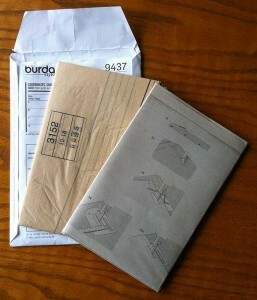 Fold the tags in half and lay on 1 of the pieces of fleece with the folded ends facing the centre. 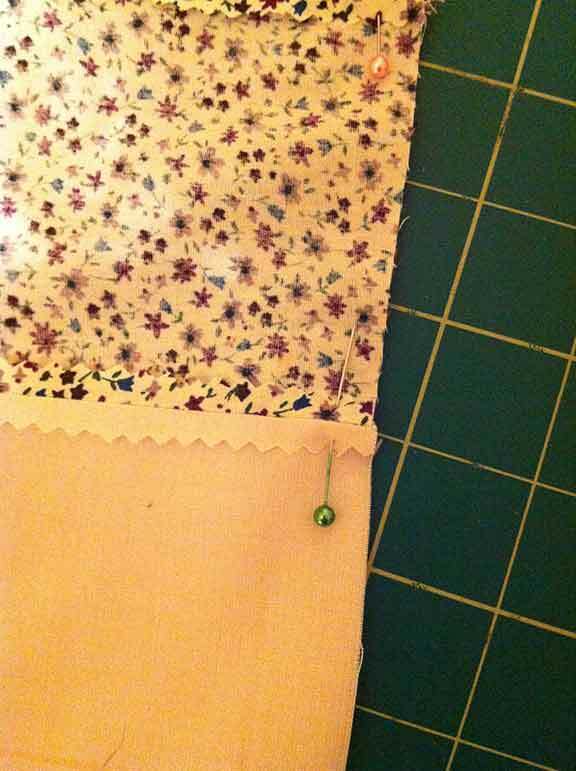 Space them out as shown in the picture and pin in place.If you’re using fabric pin the tags to the right side. Baste/tack in place, you can find an explanation of basting here. 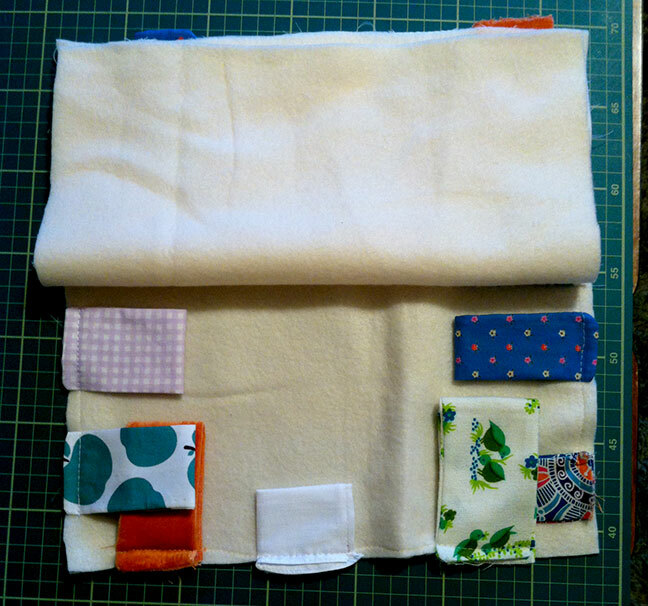 Take the second piece of fleece and lay on top of the basted pieces. 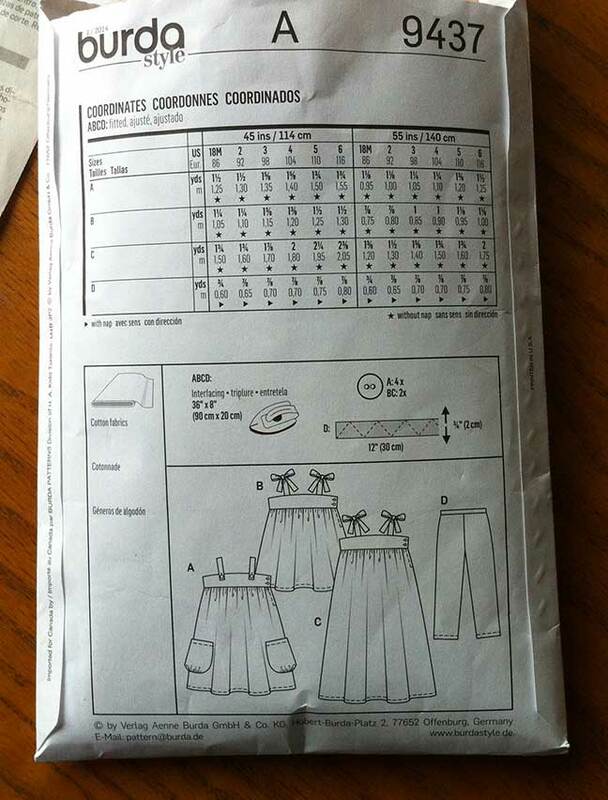 If you’re using print fabric remember to place the right side down. 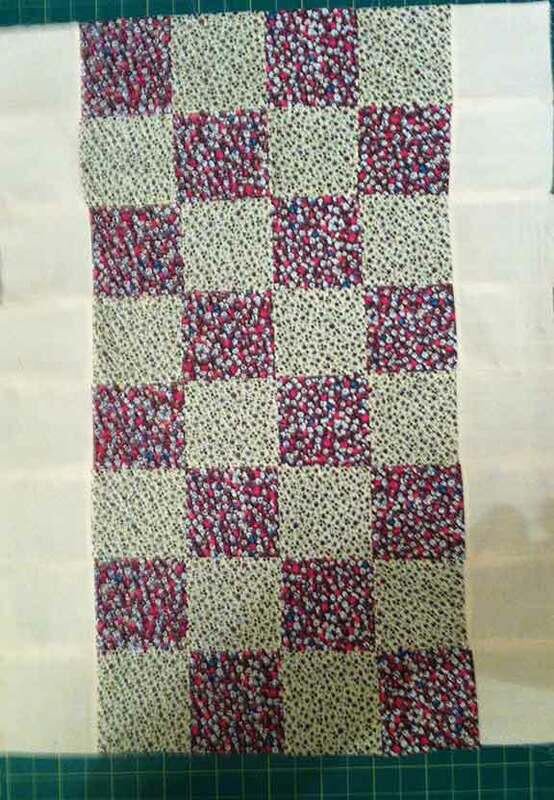 Stitch around all 4 sides leaving a gap for turning right sides out. 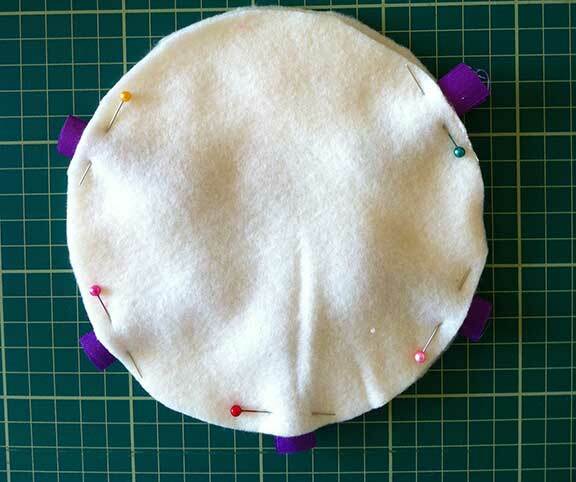 Turn right sides out then turn in and pin the open end. 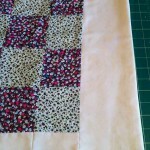 Top stitch around the edge to give a nice neat finsh. 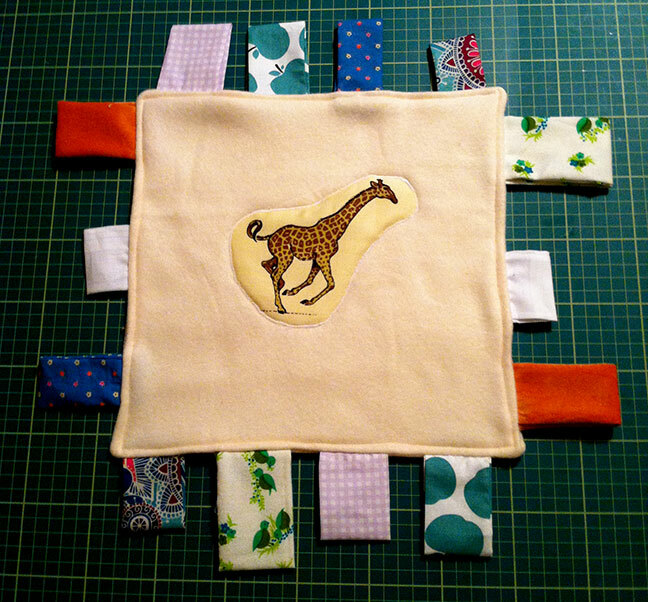 The fleece centre looked a bit plain to me so I thought I’d try my new found applique skills. 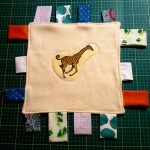 I had an old charity shop cushion cover with animals printed on it so I cut out the giraffe for this project. 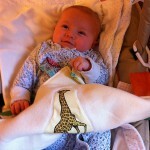 And there we are, I think baby Lilly likes her new taggie blanket! Yesterday I had an idea about making my own plush baby toy but wasn’t quite sure how I would implement it. I did a Google search (don’t you just love Google!) 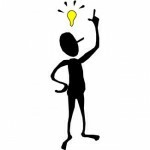 and found this tutorial.…..DING……the ideas started coming in. Now I had some fleece left from the booties I made in a previous post (here) and you’ll know by now that I like to get the most out of everything! This bit of fleece started life as a baby blanket, cost £2.45 and I’ve already made 4 items out of it. 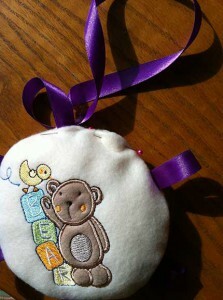 I decided to incorporate the teddy bear embellishment for this one. I also decided to use the purple ribbon I had in my stash but you can use your imagination here, even do different shapes if you wish. 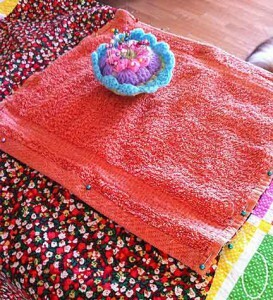 I had a cushion I no longer needed so took the stuffing out and used some of that. 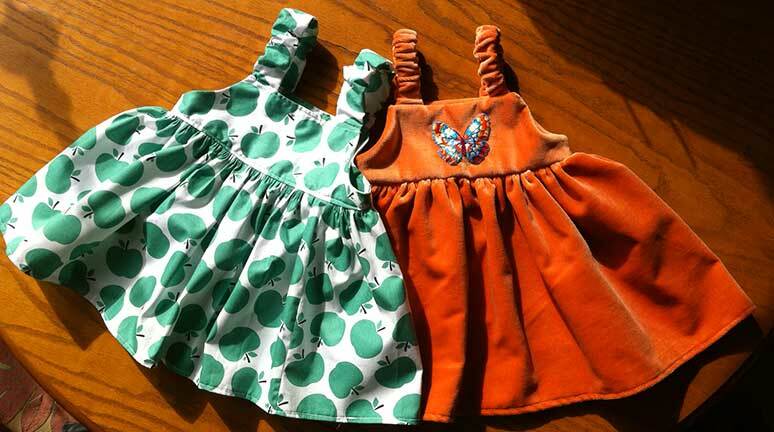 No purchases needed for this upcycled project! 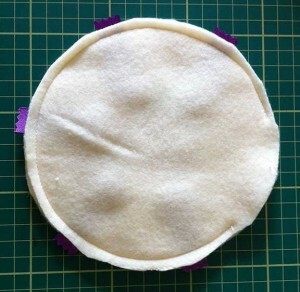 I used a 6″/15cm bowl and drew around it with tailors chalk to cut 2 circles. 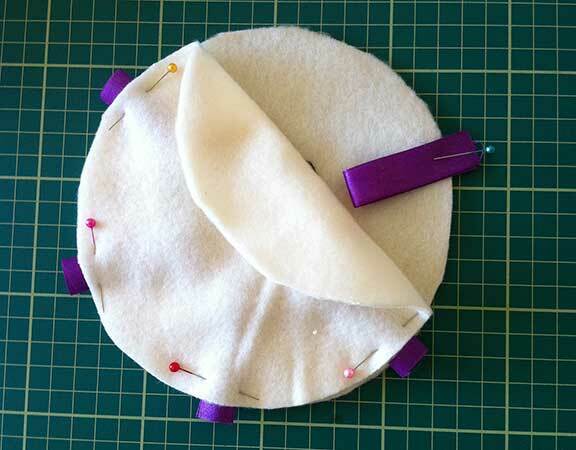 The next step is to cut your pieces of ribbon, (mine were about 5cm) then fold each piece in half and lay on the bottom piece of the plush fabric. 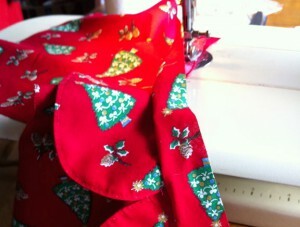 Lay the upper piece right sides in on top then pin making sure you also pin the ribbon. 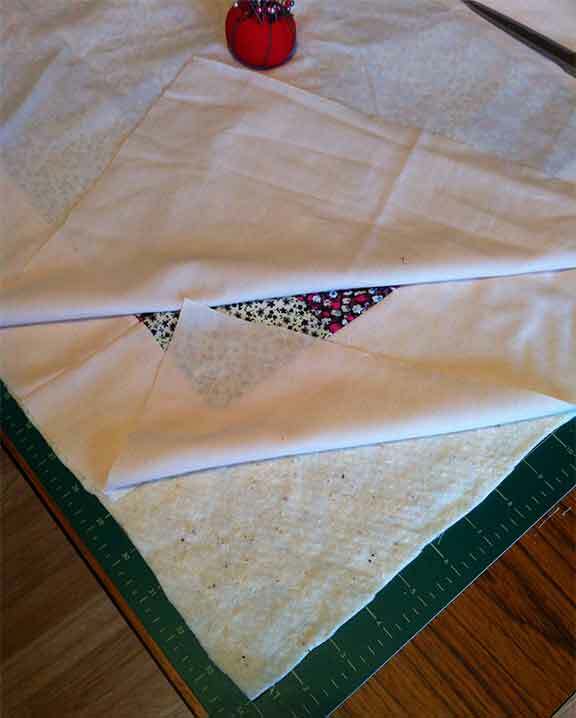 The folded end goes in towards the middle and leave a small bit sticking out over the edge. Leave a few cm open, this is where you’ll turn right sides out, put your stuffing in and add the piece of ribbon for hanging. 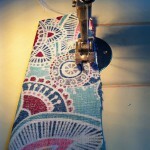 Carefully sew where you’ve pinned it, I put the machine on slow speed when I’m doing anything circular for more control. Remember to leave the end open. 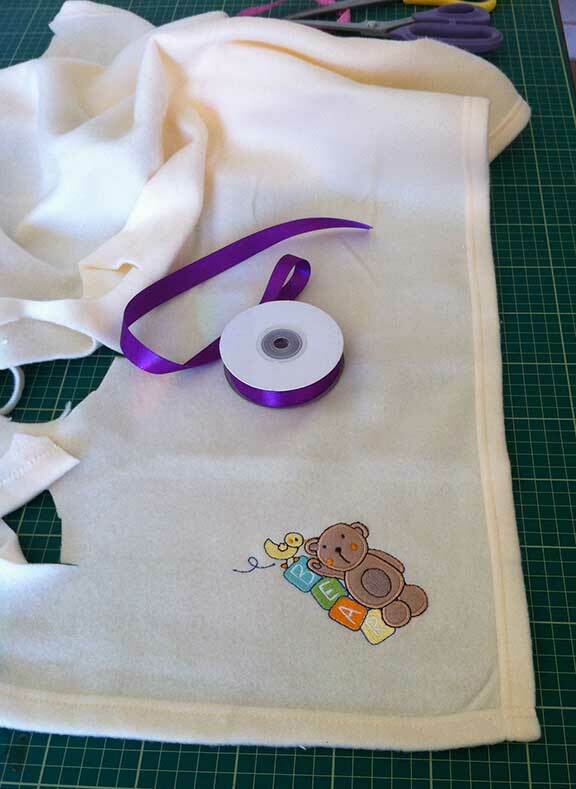 Turn right sides out and stuff, don’t stuff it too tight, you want it to feel a bit “squeeshy!” Cut a longer piece of ribbon, length depending on where you’re hanging it then, pin into the opening at the top at the same time turn the edges in and pin. 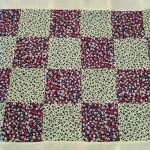 I machine stitched this part but in hindsight it might have been a bit neater hand sewing it. 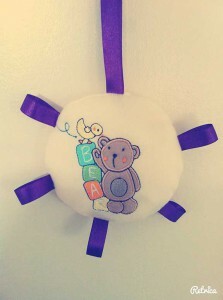 And that’s it, a simple plush baby toy which took around 1 hr to make! You could make a few of these with different shapes and colours and hang them from a baby bouncer handle, no need to purchase expensive toys! I did say I was going to do some tutorials on the “Home made Christmas Gifts” page and a wall organizer can make a useful and adaptable gift for anyone. 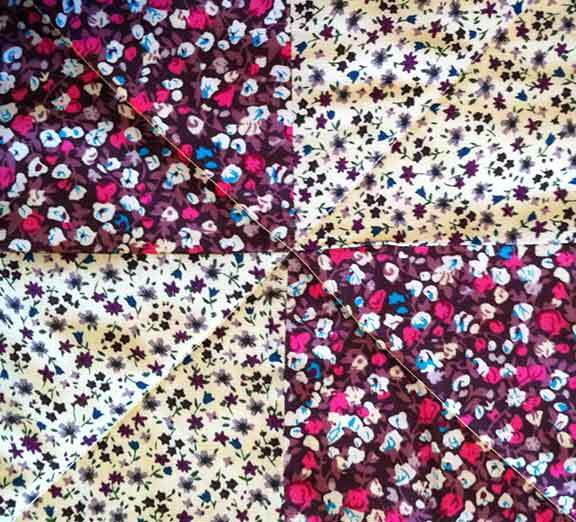 I made this one with fabrics I had to hand being an avid upcyler but you can really let your creativity lose and choose according to who you’re making it for. 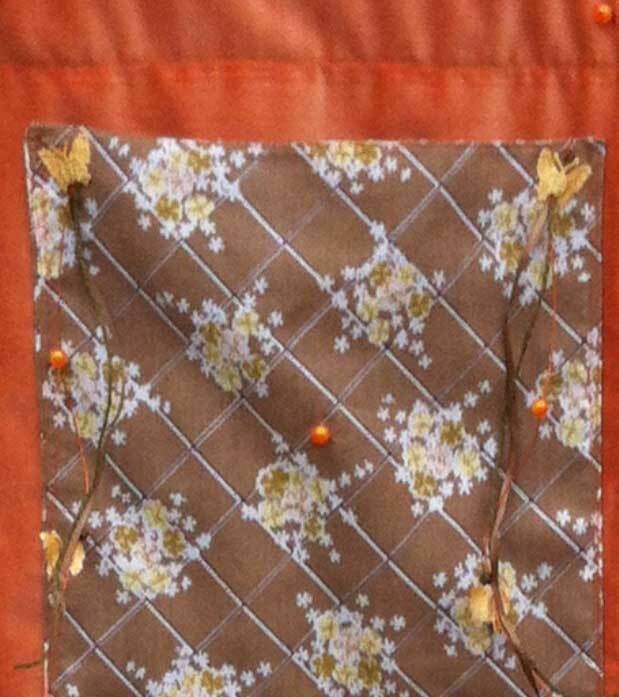 A wall organizer will even work in a garage if you use stong fabrics so there’s an idea for the men in your life! 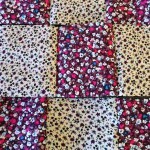 Cotton velvet and printed cotton, I’m sure you recognise them from other projects, after all this blog is all about upcycling! A piece of cane cut according to the size you make. 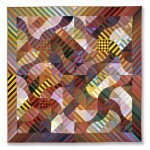 A piece of strong ribbon or thick string, cut depending on low you want it to hang. I used gift ribbon for embellishing but you can use anything for this. You can make this any size you wish, just adjust the following measurments to suit. 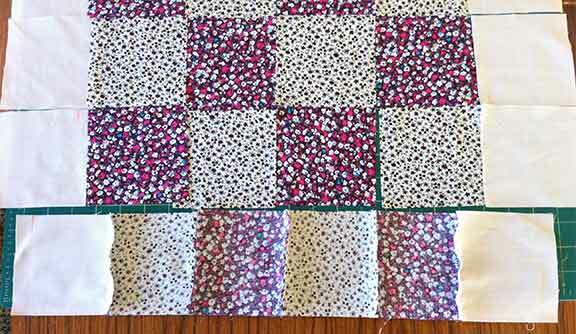 Fold the velvet in half lengthwise right sides together and pin then fold the cotton in half right sides together and pin. 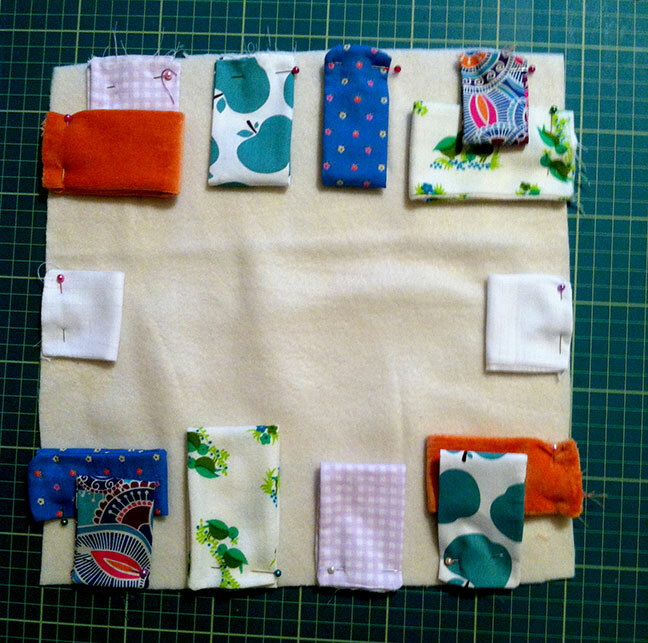 Sew 3 sides on all the pieces leaving an opening for turning right sides out. 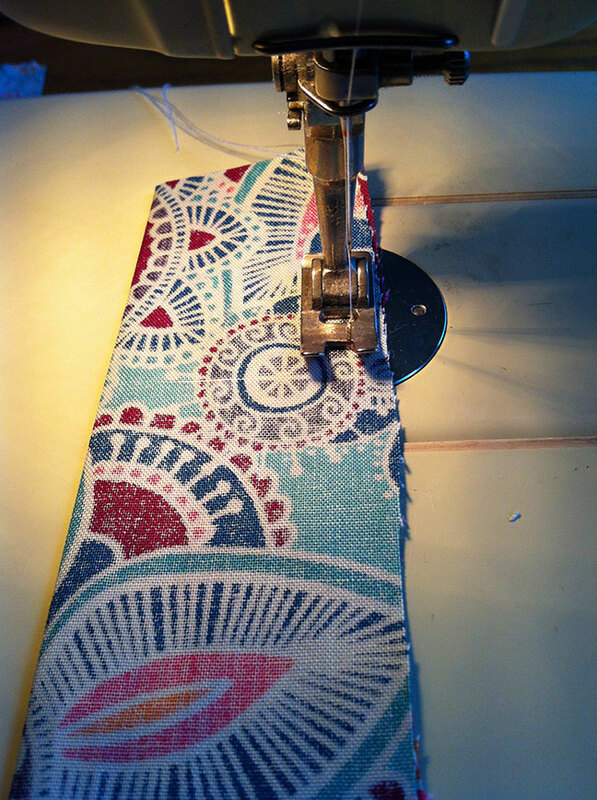 Finish off the seams either with overlocking, pinking shears or the zig zag stitch on your sewing machine. 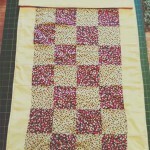 Turn right side out then press and topstitch all pieces. If you’ve been reading my other posts by now you should recognise a common theme, squares and rectangles doubled and topstitched. There are lot’s of useful items to be made this way! 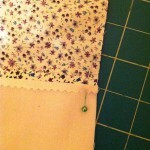 Make a hem at the top of the velvet piece to hold the cane. 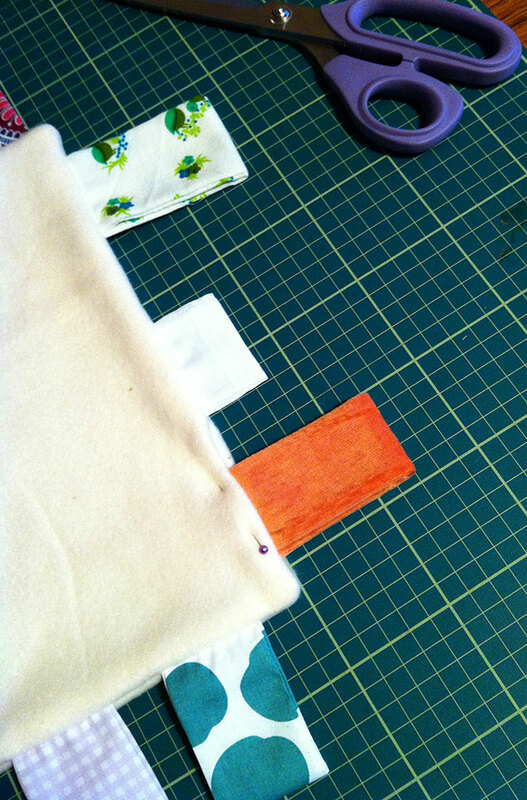 Pin the 3 cotton squares evenly down the length of the velvet. This is where you’ll see how accurate your cutting and sewing has been so far. I will blush here and admit I got somewhat distracted, making it trickier to line everything up! Stitch them onto the velvet leaving the top open (for putting things in). 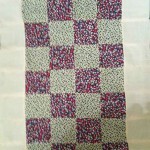 I used a zig zag stitch for this to add more interest (the photo doesn’t show it too well). Then it’s time to add your embellishments to suit the recipient of your gift. 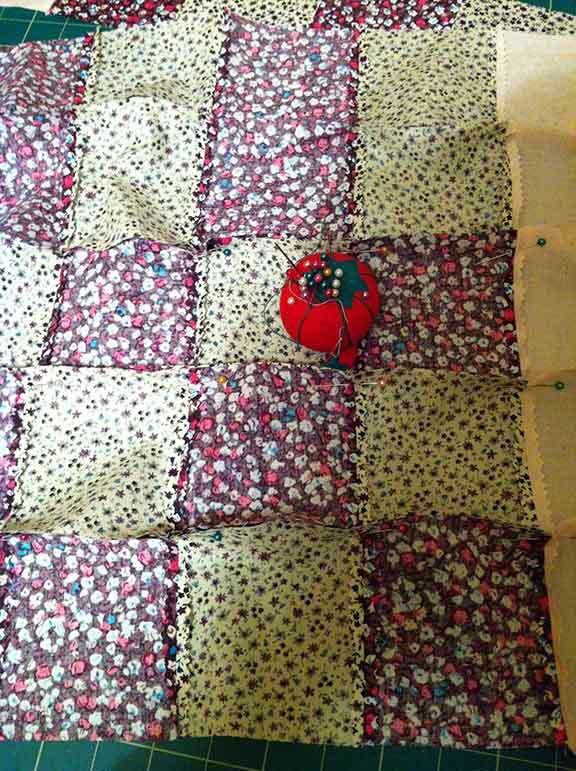 Buttons work well as do scraps of cloth and ribbon. Thread the cane through the hem then make a loop at each end of the thick string and hook one over each end of the cane. And there we are, the simplest of gifts and these wall organizers can be made for every room by using colours to suit your theme. 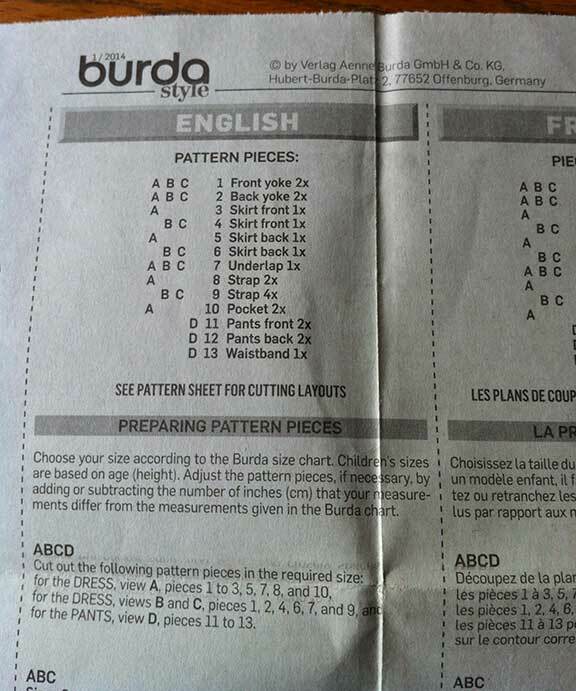 Buy a pattern suitable to your level of expertise. 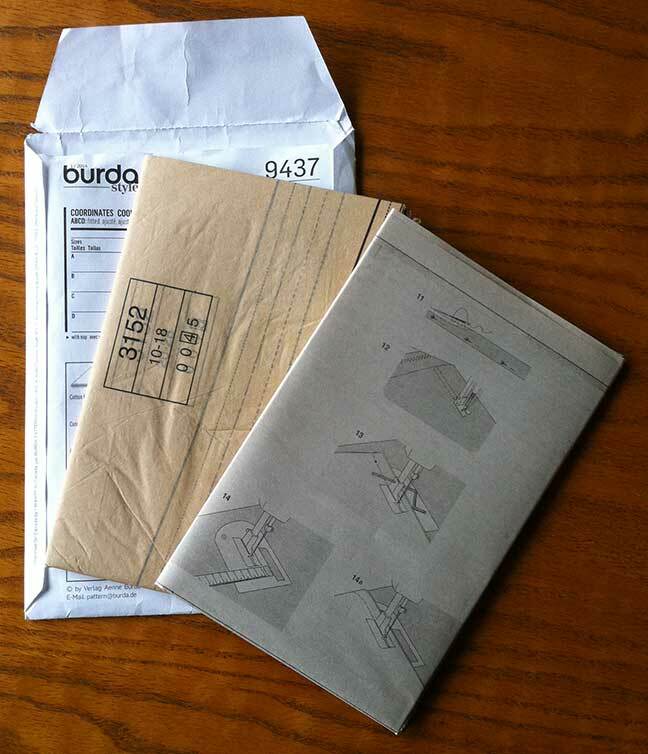 Check the back to make sure you have materials needed. 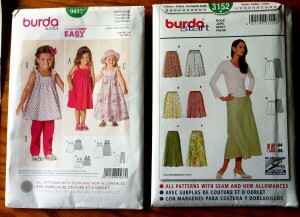 I like Burda Patterns, they are easy to understand and very competitively priced. 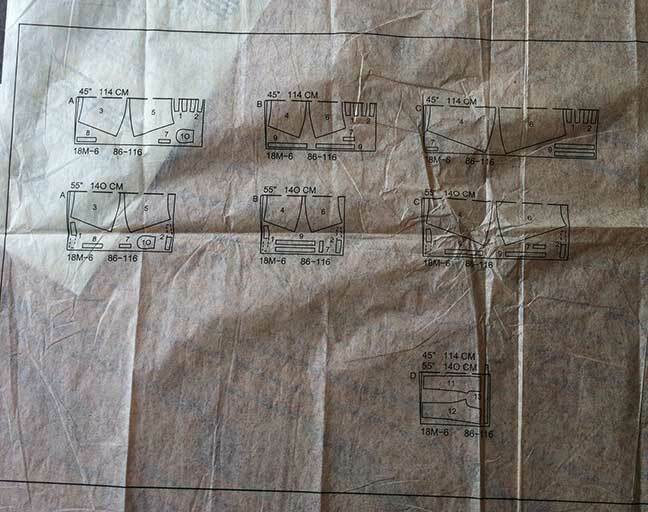 On most sewing pattern websites there’ll be a selecter for choosing which level you want which is also shown on the front of the pattern. On the front you’ll also see different variations (called views) which are alphabetically labeled. 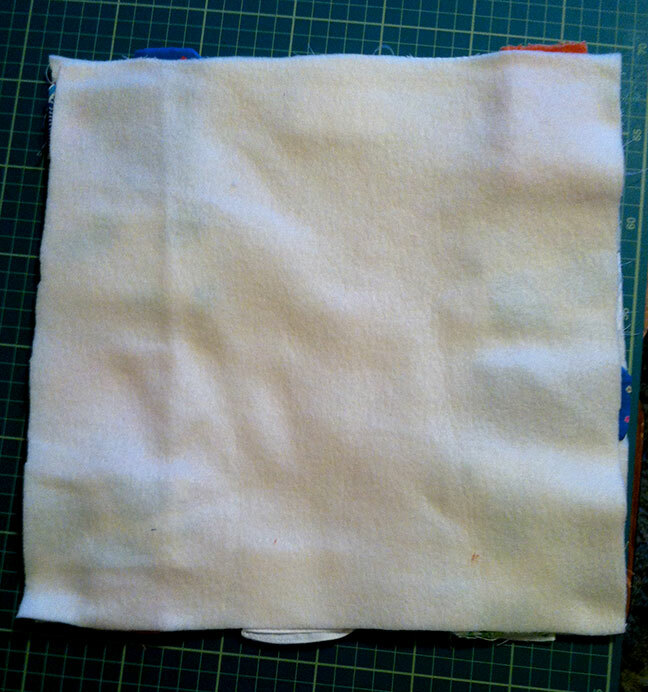 Turn the pattern envelope over and on the back it’ll show you how much fabric is needed depending on which size and view you choose. 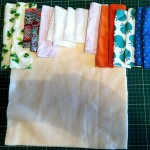 It will also recommend fabric type and which haberdashery items are needed such as buttons and interfacing. 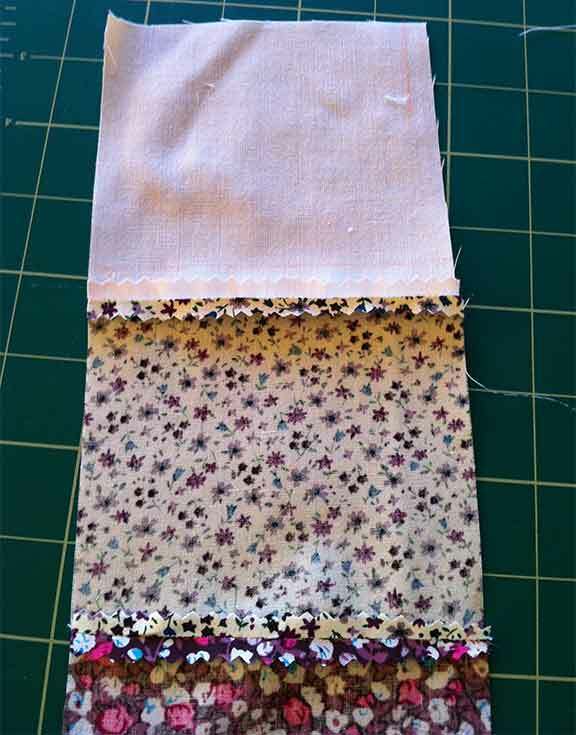 Inside the envelope will be paper instructions and tissue paper marked with your pattern pieces. 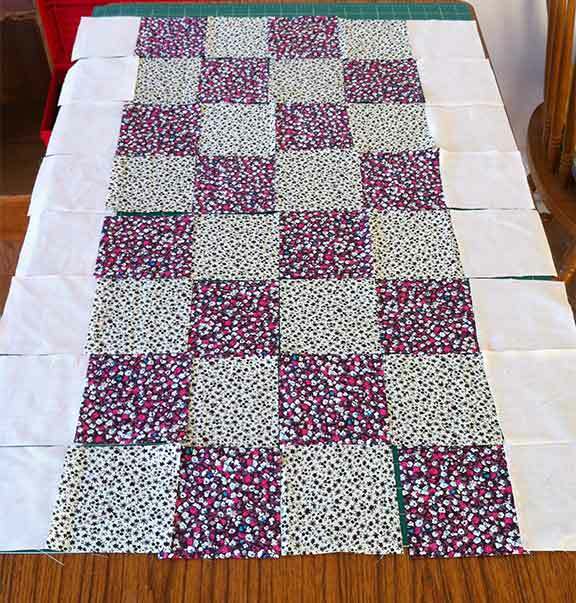 The tissue paper can be a very large piece so you might need to clear a space on the floor to get it spread out ready for cutting! 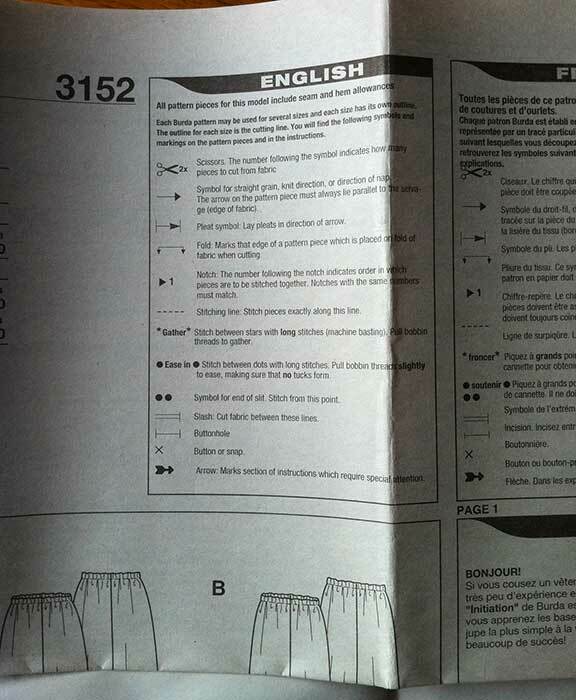 The single most important thing before you start cutting is READ THE INSTRUCTIONS! Seriously even the most experienced sewers will tell you this. 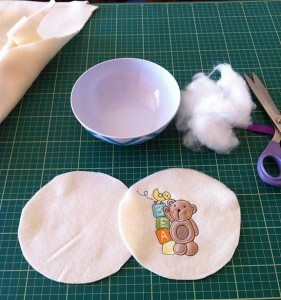 It will start with giving you a guide to the symbols you’ll see on the tissue paper pattern. 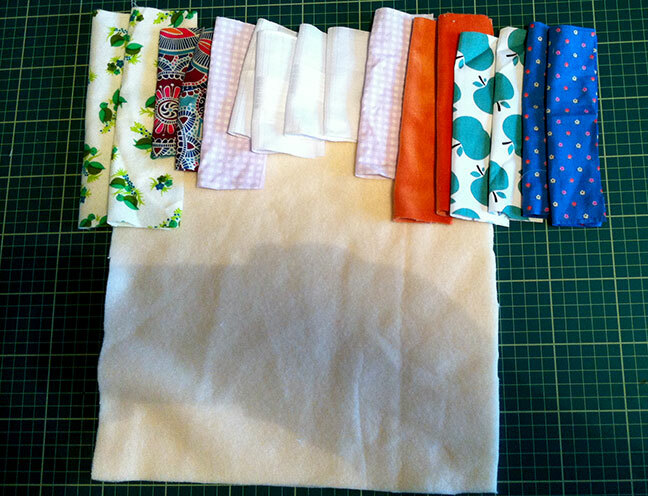 On the left hand side is where you’ll see which pieces to cut out of fabric and which ones out of interfacing. Once you’ve read everything through and made sure you have everything you need it’s time to spread out the tissue paper and cut out your pieces. 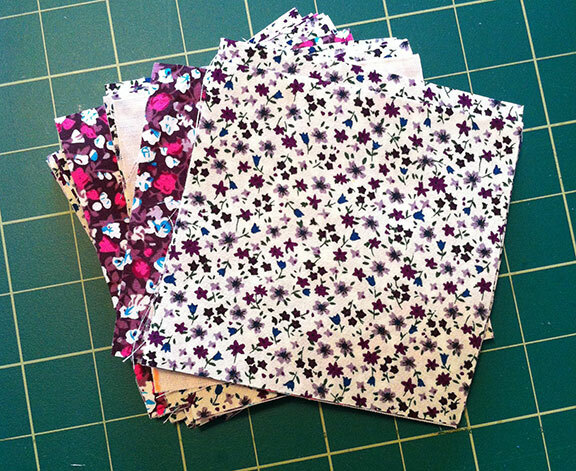 TIP – Watch this video to see how to transfer your pattern onto sturdier paper for repeated use. 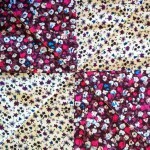 All patterns will cover a range of sizes and the pattern pieces are marked with the size round the cutting edge. 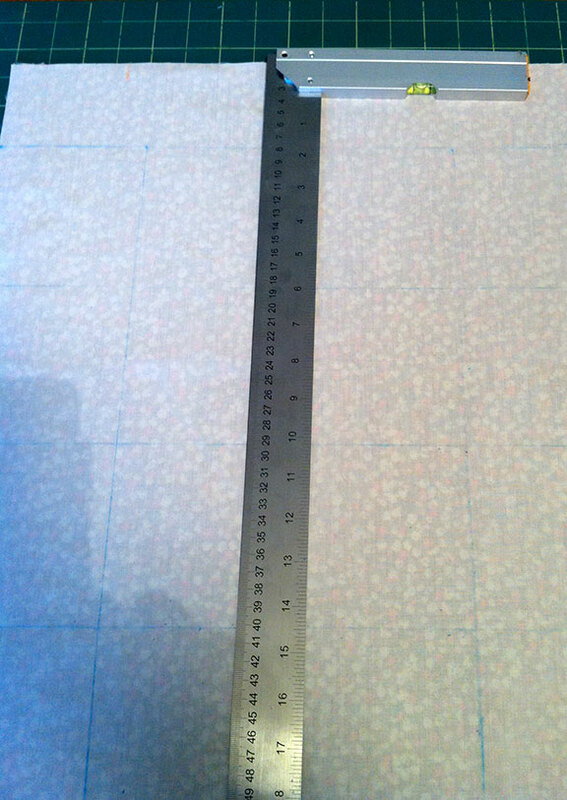 Cut out the pieces you’ll need for your “view” following the line marked with your size. 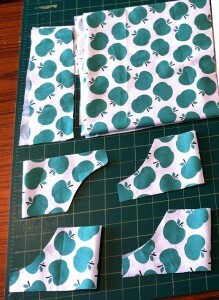 TIP – Lightly iron the creases out of the cut out paper pieces. 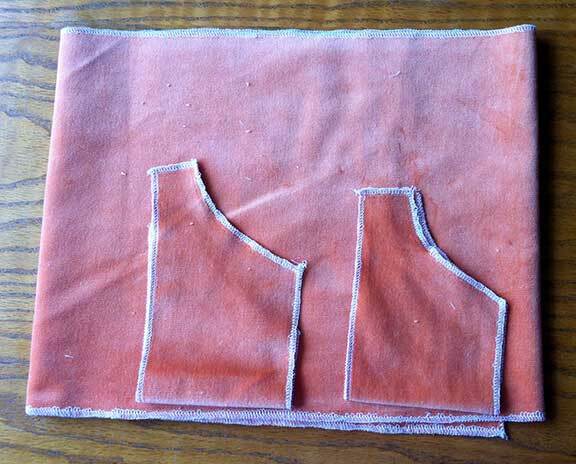 This is a fold arrow and you lay the pattern piece onto the fabric with this symbol on the fold. 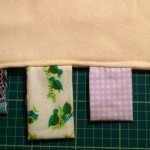 Notches are used used to line up two or more separate fabric pieces when starting to sew your garment. 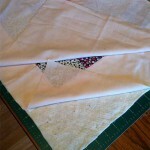 You can mark these points with tailors chalk or by cutting a small triangle. 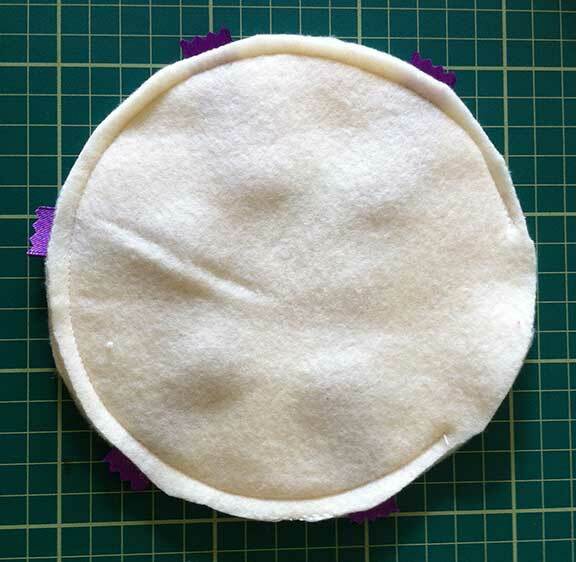 Small circles show where darts (used for shaping), button placement and things like waistline placings are, it will tell you the pattern. 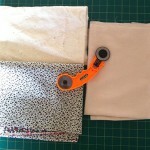 I use tailor tacks to mark these, this video shows you how. 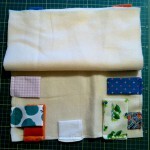 Now you’re ready to pin your pattern pieces on the fabric following the guide I advised you not to throw away! 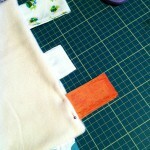 Click on the thumbnail for a close up of the layout cutting guide. 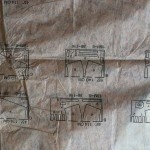 Make sure the fold line marked on your paper piece is on the fold of the fabric. Once you have all your pieces cut out it’s time to construct your garment. 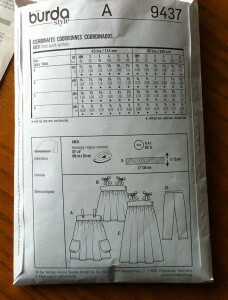 Follow the instructions on the pattern step by step, (they’re written in that order for a reason!) and you’ll have a perfectly sewn garment in no time. 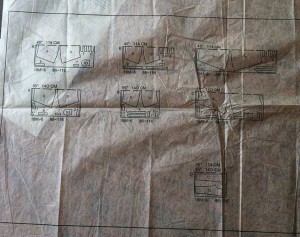 This is just a basic guide on how to read sewing patterns, if there’s anything else you’d like me to cover please feel free to leave a comment or contact me. 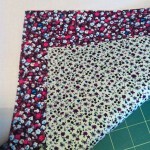 one at See Kate Sew, so simple and I love the elasticated shoulder straps very effective! I decided to make 2 of these at the same time, they looked so simple. I had some cute apple print cotton which was purchased in a sale and some cotton velvet, (I have a massive bolt of this from a close down sale). 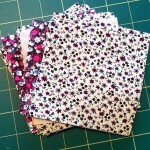 I downloaded the pattern then cut all the pieces following the instructions on Kate’s blog. The velvet frayed terribly and I thought about not bothering with it, bits everywhere! 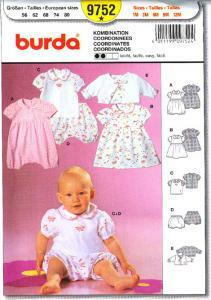 This where my Brother Overlocker came in handy and I went round all the pieces with it. 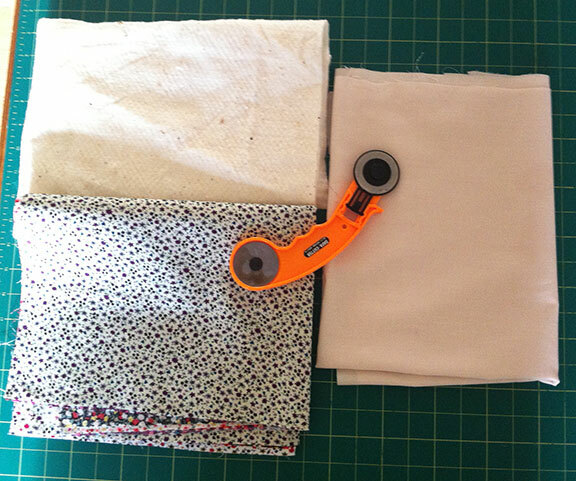 If you don’t have an overlocker you can use pinking shears or the zig zag stitch on your sewing machine or, just stick to a cotton fabric. 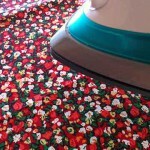 It’s worth taking a bit of time to do this, it gives your seams a much nicer finish. 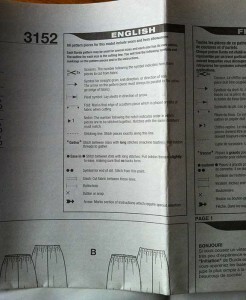 From there the instructions were straight forward with clear images to guide you through the tutorial. Three hours later I had 2 cute dresses! The seams on the velvet dress were a bit bulky so if I was using it again I’d just have 1 layer of velvet for the outer bodice and use a thin lining for the inner bodice. 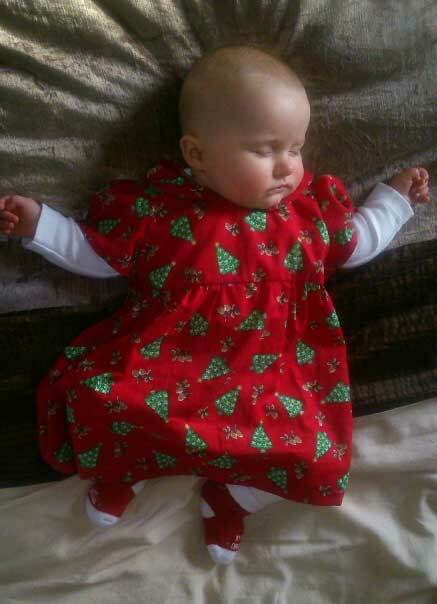 I had the butterfly motif in my box so hand stitched it on for a bit of decoration.The velvet dress could be worn over a top with a cardigan making it suitable for colder weather, versatile wee dresses and all from a free baby dress sewing pattern!